Detergent cake is the product having its applications in day-to-day life. Detergent cake plant is an ideal coordination of easy and accessible procedures of production. Raw material of the detergent cake is effectively mixed with the perfume and color as per define formulas. Different kinds of machines are used to shape out the product. An efficient mixer mixes the material. Mixed material is send further for the processing. Material is conveyed with worm conveyor. Worm conveyor can be set horizontally or slant as per requirement. In order to save energy and use most the gravitational force, it is fixed in inclined position. Plant is possessed with gear box system and electric motor. It is also provided with electric panel board. Material is extruded with plodder machine and bar cutter is used to cut detergent bar in specific length. 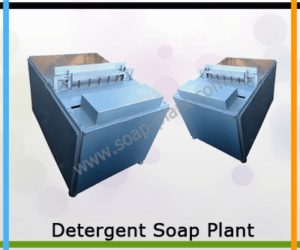 Our offered range of detergent cake plant is available with various capacity ranges of machines. We also offer customized configuration as per specific requirements.